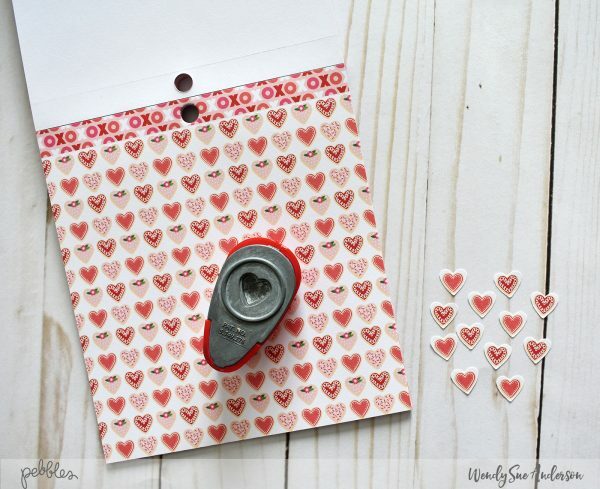 Quick and Easy Valentine Tags - Pebbles, Inc.
Hello friends! 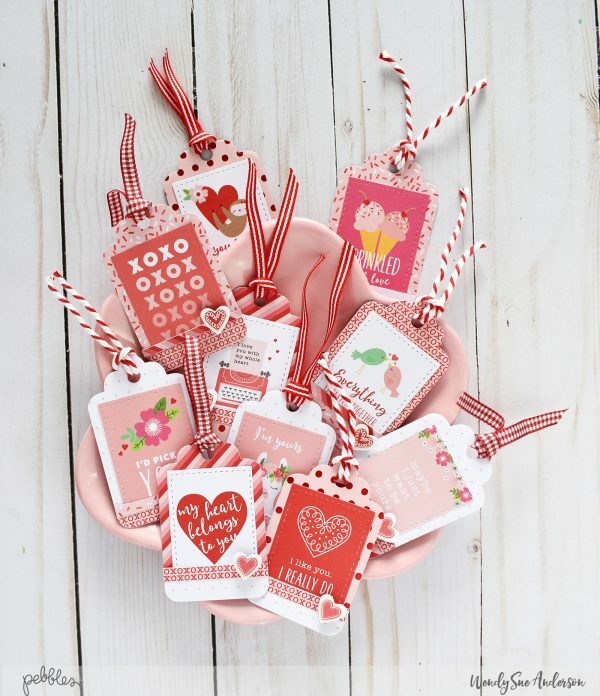 It feels like I just put my Christmas decorations away and it’s already time to start putting together fun Valentine’s Day gifts. 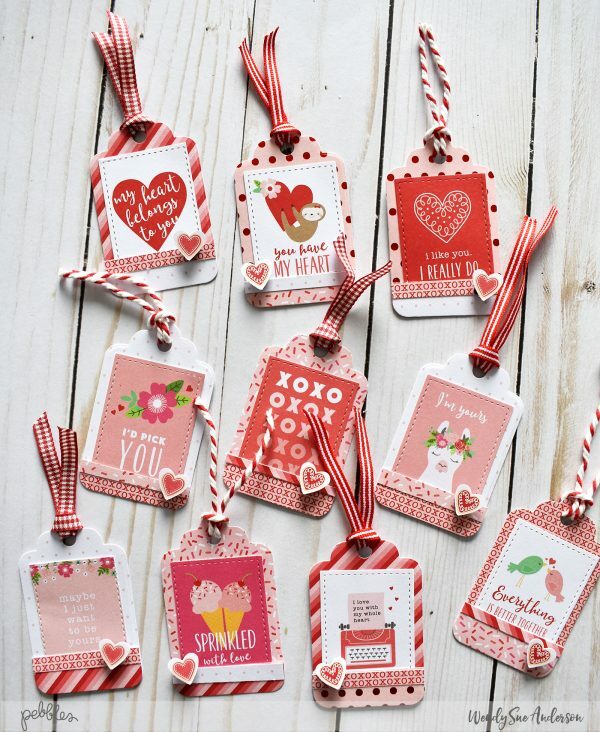 My favorite way to personalize a store-bought gift (ie candy) is to make a cute little tag – so that’s why I decided to whip up a set of quick and easy Valentine tags! 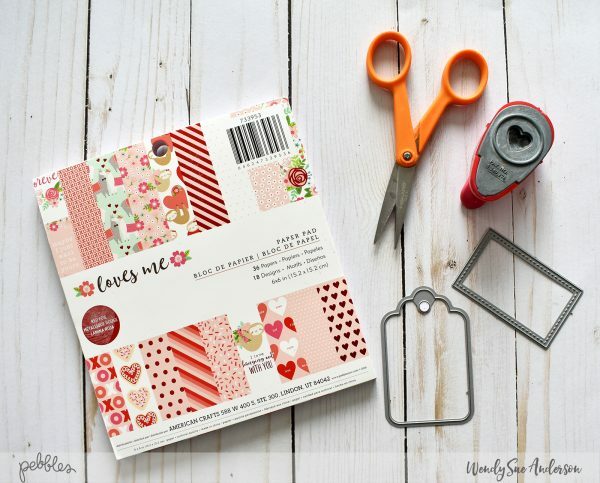 Here’s how they turned out, but keep scrolling down to see just how easy they are to create with the “Loves Me” 6×6 paper pad! 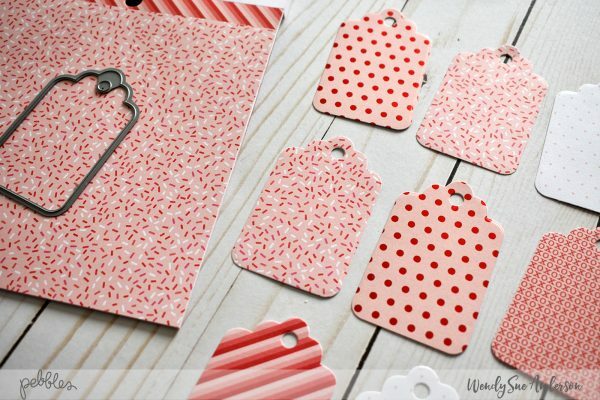 I started by choosing a few fun patterns from the 6×6 Paper Pad. Using a metal die, I cut several tags from each paper. 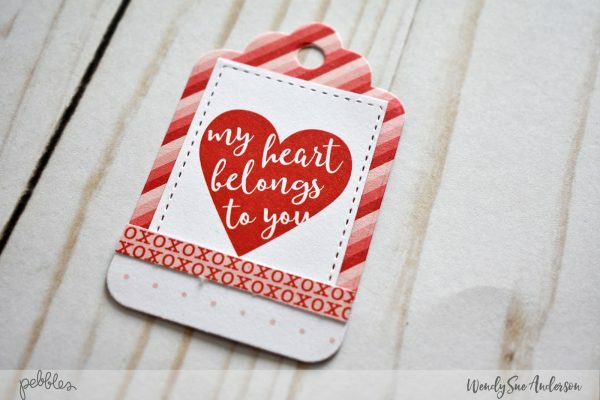 You could also use a digital cut file OR even cut them by hand! Here’s how quick and easy they were to assemble after all the pieces were cut out! 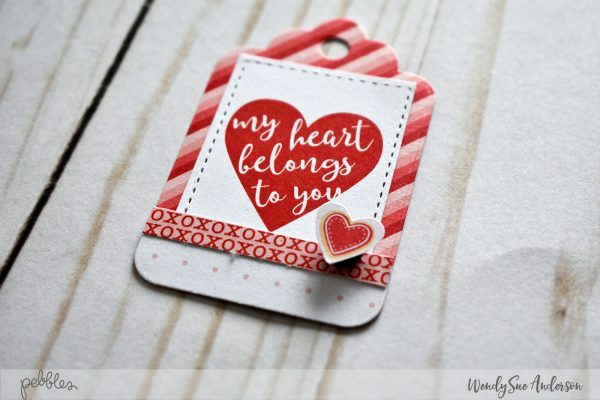 I layered one of the mini cards on top of the tag. Next, I cut the bottom off of one of the coordinating tags and attached it to the bottom, overlapping the card. I cut a strip from yet another pre-cut tag, making sure the pattern was different, and placed it at the top of the bottom piece. 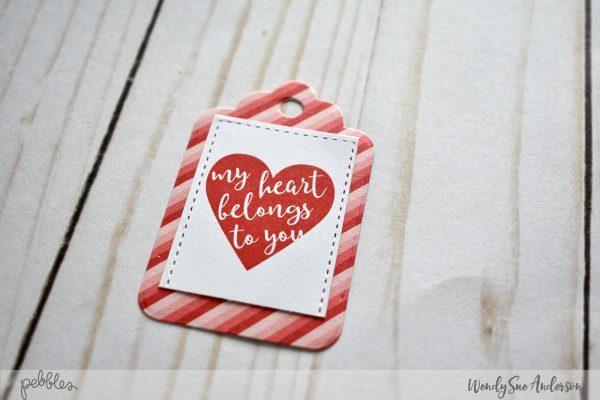 It’s so easy to whip up a bunch of these cute little tags in a hurry – and it’s also a fun project the kids can help with! 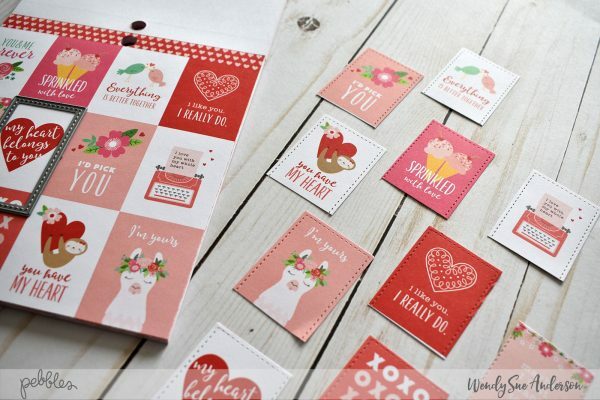 Simply write to/from or a sentiment on the back and you’re good to go! 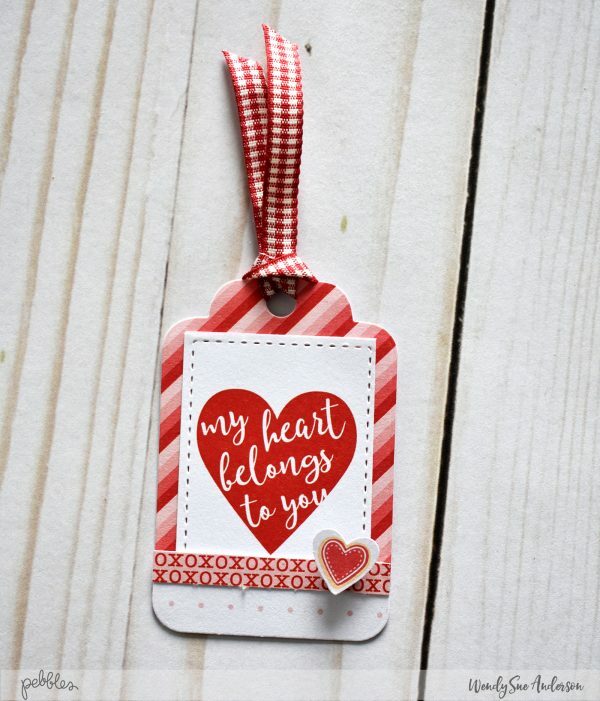 It really is a quick and easy way to add a touch of handmade love to any Valentine’s Day treat! 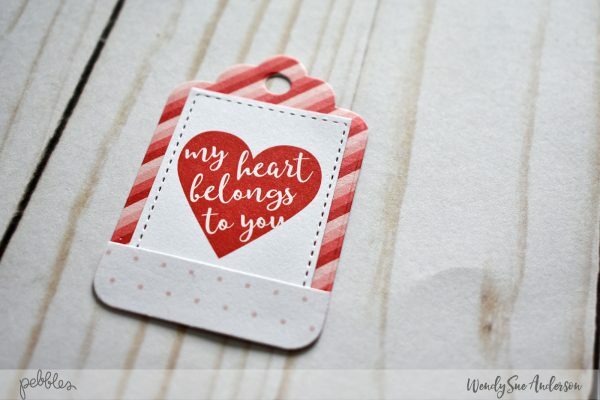 Happy Valentine’s Day to all of you! !